The bamboo flute has a rich tradition of use throughout Asia and the Americas. While it is played like a conventional flute, its wooden frame produces a rich, clear and unique tone. Learning to play bamboo flute is challenging, but immensely rewarding. Pick up the flute with your left hand. Rotate it so the mouthpiece is facing you. The flute should extend to the right. Wrap your left hand around the flute and place your middle three fingers over the three holes closest to the mouthpiece. Lift your right hand and, with the palm facing outward, place the middle three fingers over the remaining three holes. Purse your lips and lift the flute so the mouthpiece is slightly in front of and slightly below the hole your pursed lips have created. 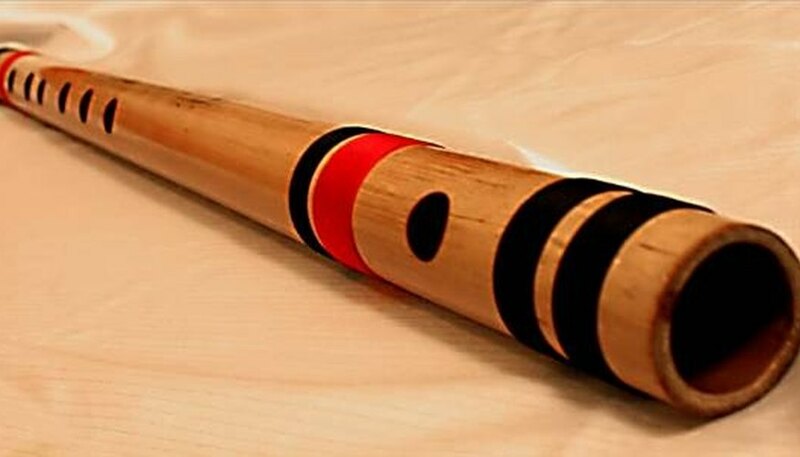 The bamboo flute is a reedless woodwind instrument, so to generate sound you must create a column of air inside of the flute. To do this, you must blow air across the mouthpiece, rather than into it. Lift up all your fingers and, with pursed lips, blow a steady stream of air over the mouth hole. Experiment with holding the flute in different positions and blowing the air through your lips in different ways, until you can produce a steady, clear tone. Place the index finger of your left hand (the finger closest to your mouth) over the first hole. Blow air through your lips in the same way as before to produce a tone. The tone will be one note higher than the one produced with all fingers up. Continue to place fingers over the corresponding holes while blowing air over the blow hole to produce continuously higher tones. To play a complete scale, play each tone until you reach the ring finger of your right hand. To reverse the scale, lift each finger one by one, starting with the right hand ring finger, until all fingers are lifted and the original tone is sounded. Mix and match notes of the scale to create or imitate a melody. The last hole to the right can be covered by either the ring finger or by the pinkie finger, depending on your preference. Practice each tone until you master it, before moving on to the next one.